Mark A. Brick, MCR, CGR, CAPS, UDCP, is the president of B&E General Contractors, Inc. Mark founded B&E in 1985, which has a solid reputation as one of the premier design/build firms in southeastern Wisconsin. Mark has been involved with NARI (National Association of the Remodeling Industry) since 1986. He found his niche in government affairs and membership committees. Climbing through the service ranks, Mark was president of the Milwaukee/NARI Home Improvement Council from January 1999 through December 2000. He served, over two decades, on Milwaukee NARI’s Board of Directors, its Foundation, and is the recipient of the organization’s professionalism award. Mark has also been at the national NARI forefront, serving as National Treasurer, Secretary, First Vice President, and ultimately President from 2003-2004. 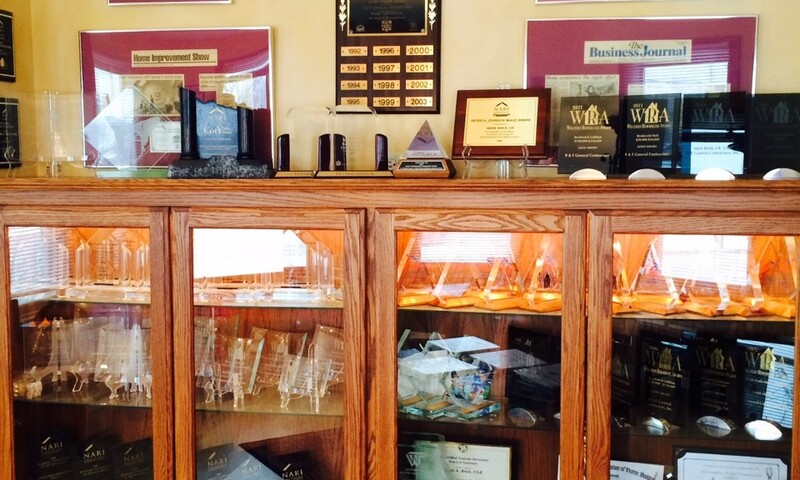 Mark is the proud recipient of many national honors, including Squires Lifetime Recruitment Awards, 2001 Local Chapter President of the Year, 1997 Government Affairs Award, 2002 Peter Johnson Image Award, and the 2005 Henry Fenderbosch Award. Mark is proud to recognize the staff of B&E General Contractors for winning *7* NARI National Contractor of the Year Awards ( 1994, 1998, 2000, 2004, 2008, 2009, 2011 ), over 20 NARI Regional Contractor of the Year Awards, and over 35 Wisconsin Remodelers’ Awards. 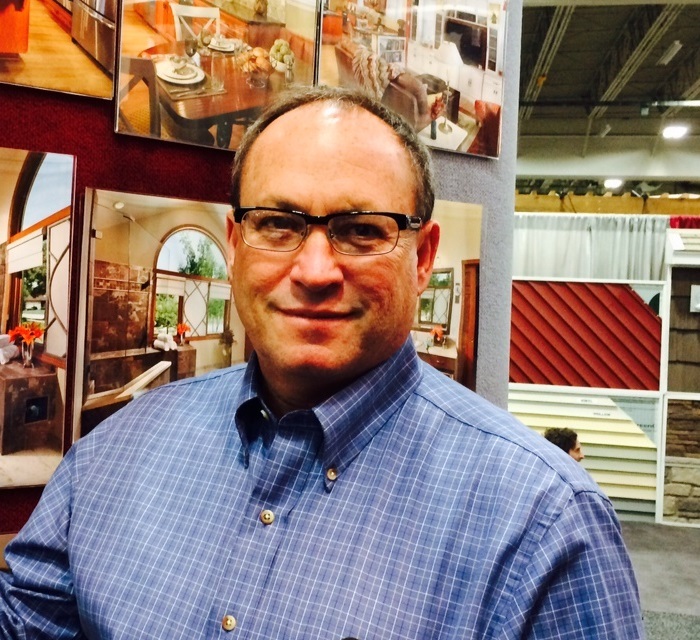 Mark has also been active with the Metropolitan Builders Association of Greater Milwaukee. He was awarded the prestigious NAHB (National Association of Home Builders) 2001 National Remodeler of the Year Award and was the local Metropolitan Builders Association’s Builder of the Year in 1998. 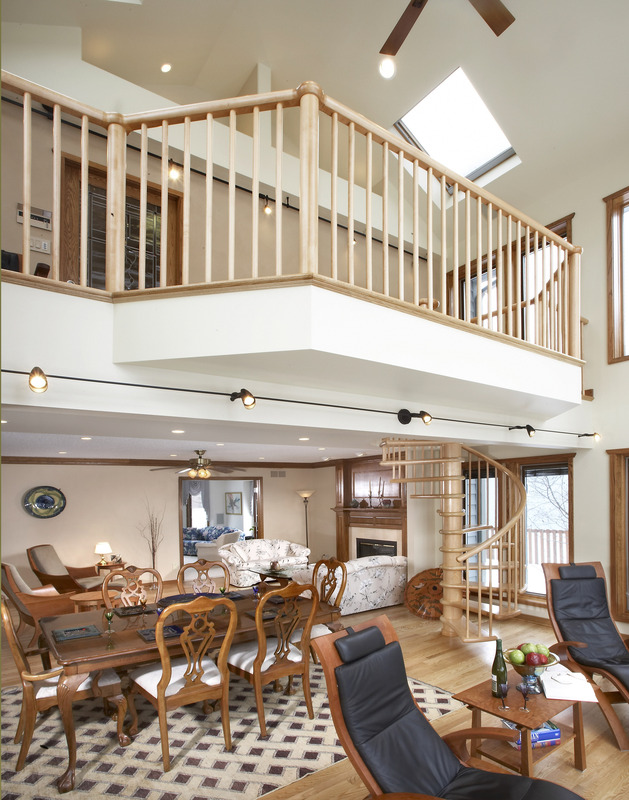 B&E has also been awarded the 2001 Chrysalis Wisconsin Remodeler of the Year Award. Proud of the emphasis placed on continuing education for the benefit of our clients, Mark has earned the certifications of Master Certified Remodeler, Certified Graduate Remodeler, Certified Aging In Place Specialist, and Universal Design Certified Professional. It is the privilege and honor of Mark Brick, and the entire staff of B&E General Contractors, Inc., to represent the remodeling industry in a fair, ethical, and professional manner. If you have any questions we can answer, please call our Glendale showroom at 414-351-5558. Remodeling is a unique experience. You live with the progress of your project on a daily basis, adjusting your lifestyle, schedule and habits accordingly. The hallmark of a smoothly-expedited renovation project is excellent communication. Through excellent communication and interaction, we are able to create the new home environment you envision, with the least amount of stress and interruption. This is accomplished using the maximum amount of good humor and flexibility which leads to success. This communication occurs on multiple levels: between homeowners and the contractor, owner and lead field expediter, owner and inside office staff and schedulers, expediter and all team members and vendors, and the contractor communicating effectively with all parties. That’s a lot of personal involvement on a daily basis! How does this begin? Prior to the start of a project, we believe in “meeting your team”. Our field expediter, along with our contractor, will have a one-to-one on-site conference, to review your specific project. Project details, blueprints, and procedural schedules will be discussed. The homeowners will understand our field and in-house operations, plus receive all important contact phone numbers, fax and email contacts. Any special job site precautions will be discussed, as well as the owners’ preferred method of contracting traffic flow within the home, use of house facilities, and respect for the owners’ property and privacy. There may also be a subcontractor meeting, allowing the licensed subcontractors a preview of the project and allow for any detail fact-finding prior to the job’s start. With a plethora of technology, we will stay in touch with you in whatever manner you desire: phone conversation, email, fax, scans, and of course, in-person. 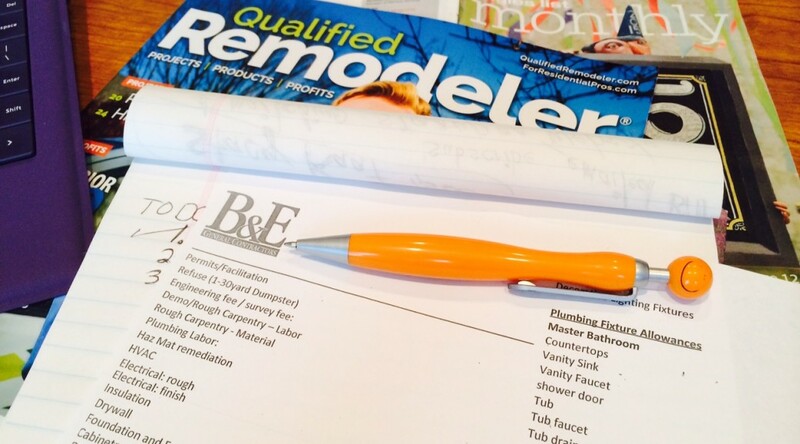 There is no such thing as “too much information” when remodeling. 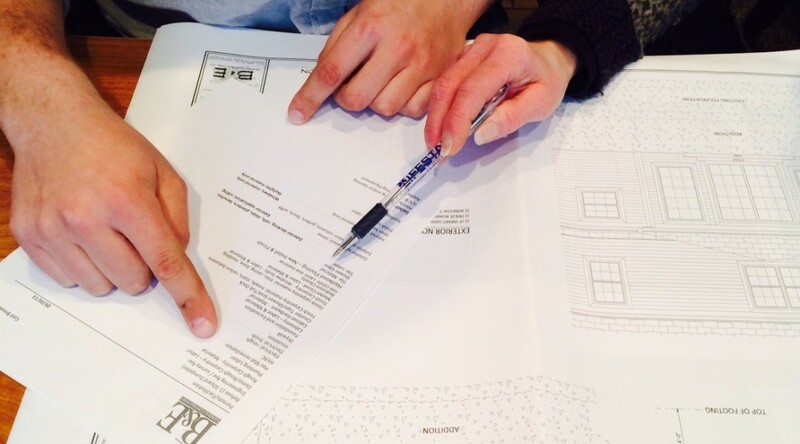 An informed homeowner is an involved homeowner, and that breeds success and satisfaction. In the home remodeling process, design and product selection is the creative segment, allowing your personality and lifestyle to integrate and invigorate your project. This is the phase which takes patience and excellent communication. Design meetings will take place at your home as well as the contractor’s office. Concepts, CAD renderings, and material options involve an exciting flow of ideas. Important considerations in the design will be directly related to your municipality’s code requirements. We invite our clients to begin this phase by composing their “wish list” and their “priority list”. Common threads will appear, but possibly in very different orders. We also encourage early, up-front conversation about budget, for this will also impact the wish and priority lists, design, and product selections. The homeowner will have homework to perform, analyzing their wants versus needs. Is the current home layout being maintained, versus achieving a new efficient footprint? Family activities must be considered and incorporated into a balanced floor plan that works for all family members. 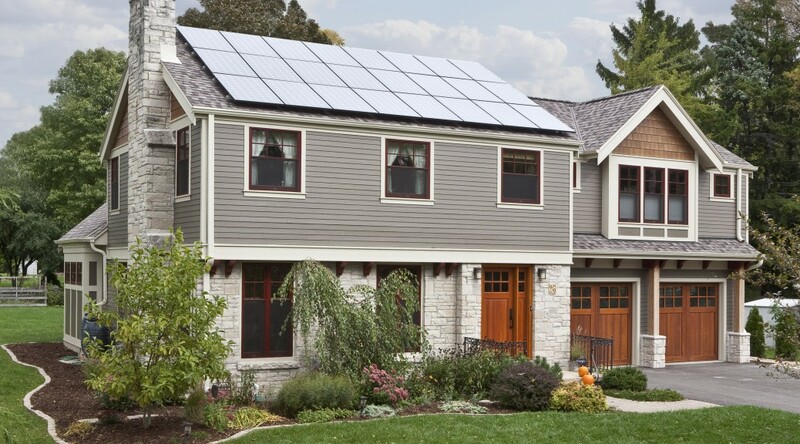 Sustainable practices may allow existing materials to be recycled or incorporated into the new project (i.e. windows, masonry, plumbing fixtures). Aging-in-place factors (no thresholds, wider doorways and halls, lower countertops and appliances, larger hardware) encourage the homeowners to be forward-thinking for the long-term. Prepare to take your time in this phase; details are your best friend. Visit your contractor’s preferred vendor showrooms to view fixtures, cabinets, counters, exterior materials, tile, and more. Specificity will provide you with a clear view of your project’s evolution. From the “napkin thumbnail sketch”, to computer renderings, to submission to your architectural board…….enjoy this detailed journey. We invite you to our 30th Anniversary celebration throughout 2015. Since our founding in January 1985, B&E General Contractors has remained steadfast in our mission; providing our home owners with value that is deserved and professionalism that is expected. We have enjoyed this fabulous journey with you, our loyal clients, employees, distributors, subcontractors, family and friends. Remodeling involves a community of support and we are proud to have flourished for 30 years in southeast Wisconsin within this cherished community. B&E has been at the forefront of embracing change within our industry: from lead pencil sketches to CAD design, Xerox machines to smart phone instant communications. Continuing education. Advanced Certifications. Additional licensures. Incorporating energy efficient materials, recycling and re-purposing, all of this for the benefit of you the consumer. We are proud to use local vendors, subcontractors and materials whenever possible. We depend upon each other to maintain our community growth and stability. B&E has always maintained a “give back policy”. Whether constructing playhouses for charity auctions or bringing tech school students to project sites for “real world” training, it is our goal to always support those who support us. Like the 30th Anniversary Pearl, starting small as sand and transforming into a polished jewel, follow our upcoming anniversary columns to enjoy our growth, evolution, and future. In the Remodeling Process a Smart Start = Valued Results. This week’s article is the first installment of 4 segments that outline the remodeling process to help you understand the journey. January in Wisconsin. If you’re experiencing cabin/castle fever, put that pent-up energy to “construction use” by planning home improvement projects that will enhance your home and lifestyle. 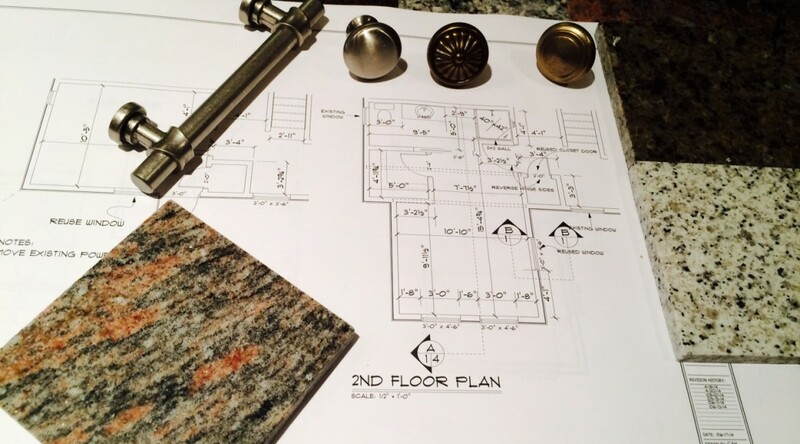 Planning is crucial for your renovation’s success. Allow dedicated time to research and budget for your home project. Information you gather will lead to better understanding of the remodeling processes and thus your intended results will meet your expectations. Ideas take time to develop. When it comes to your home, you want to be sure you make the right choice the first time. Function, value, and budget are the key components that must coordinate to create your desired project. Step by step, what path will you take today? Since you will spend a significant portion of your life in your home, it makes sense to ensure your home is visually appealing as well as functional. Today, let’s take a look at staircases. As you move between levels, don’t allow your route to be monotonous. Consider a spiral staircase. 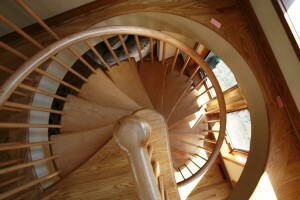 Realtors always talk about curb appeal outside; Allow your staircase to have curve-appeal. 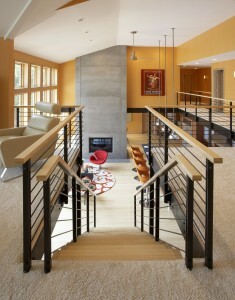 For more variety and beauty, dress up your banisters and railings with wrought iron, bamboo, wood, and crystals. A combination of these materials can be very stunning and yet functional. There are no rules saying a staircase must be mundane. As long as it is structurally safe, the sky’s the limit. 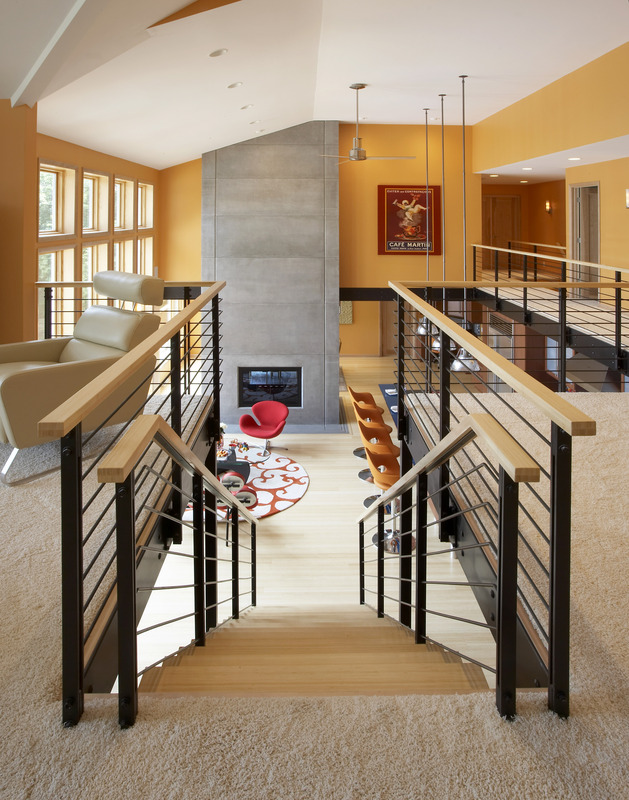 Elevate your staircase and your movement. For children’s rooms, consider a block style stair to a loft area with built in drawers. It’s perfect for function and storage of clothes, toys, or treasures. How Much Does Your Contractor Care About Continuing Education? At B&E General Contractors, we believe strongly in staying on top of the ongoing developments in the home improvement industry. Mark Brick has made it a priority to continually improve his knowledge and skills so he can deliver the best product and service for his valued clients. Our continuing education allows our crews to recommend superior products, provide energy and technology-efficient suggestions, and provides homeowners with a heightened experiential value. Continuing Education isn’t just about technology and efficiency, it also involves design: deftly incorporating aging-in-place design and modifications, adaptable products, and products that incorporate safety ( i.e. non-slip tile surfaces, barrier-free thresholds, and appliance placement). By incorporating our knowledge into your home remodeling project, you make life easier for yourself and increase the resale value of your home. Lead Safe Renovator, accredited by the State of Wisconsin, Department of Health Services. It is the privilege and honor of Mark Brick, and the entire staff of B&E General Contractors, Inc., to represent the Milwaukee remodeling industry in a fair, ethical, and professional manner. Whether it is a modest home repair or full scale renovation and / or addition, we are here to make your remodeling experience smooth and satisfactory. 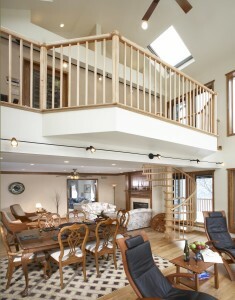 Visit B&E at; http://begeneralcontractors.com/ or give us a call at 414-351-5558. We know how hard it can be to keep up with your home! There are so many other things demanding your time and pulling you in different directions. We would like to remind you that the effects of cold winter months and howling winds may be diminished with timely, proactive home- maintenance tasks. Allow B&E to assist you with tasks, such as those listed below, to make your home safe and comfortable no matter what winter throws at us in Wisconsin. FURNACE – Don’t get left out in the cold! A quick inspection and tune-up by a certified professional is well worth the peace of mind that comes from knowing your family will be safe and warm this winter. 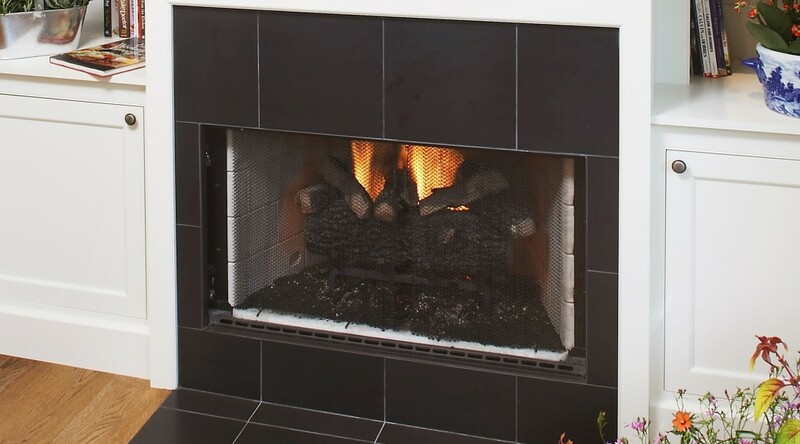 FIREPLACE – Inspect flue for creosote buildup, at least annually. If buildup is present, have the chimney cleaned by an experienced chimney sweep. Fire devastation & clean-up is far more costly than a brief visit from your favorite chimney professional. Check the flue cap to be sure there is no damage and birds have not taken up residence. Exercise the damper (The metal plate which opens & closes the flue, just above the firebox). Move it to the open and closed positions to ensure that it is working properly. WOOD STOVE – Wood-burning stoves can be a great way to add atmosphere and warmth to your home. They can also be a real disaster if they are not inspected and maintained. Here are a few things to look at when inspecting stovepipes; Cracks (can release toxic fumes into your home), corrosion, holes, loose joints, or signs of deterioration. Look for corrosion and cracks in the stove’s body or legs. Check safety features including; Required wall protection present? Is the unit installed according to the manufacturer’s specifications? Does the unit sit on an approved floor material? GAS HEATER – For safety and cost, maintain your gas heater by following these simple steps; First, shut off the heater. Then check the air-shutter openings and exhaust vents for potential dirt and dust. If they are dirty, vacuum the air passages to the burner and clean the burner until it is free of lint and dirt. Follow the manufacturer’s advice and have a professional check these devices annually. FIRE /SAFETY HAZARDS – Clear out any old newspapers or hazardous chemicals . Especially keep a clear space around heaters, furnaces, and other heat-producing appliances. Replace the batteries in every smoke detector and carbon monoxide (CO) detector. As an added step, vacuum them with a soft brush attachment. Test the detectors by pressing the test button or holding a blown-out candle near the unit. Install a smoke detector on each floor of your home, including the basement. Review your fire evacuation plan with your family. Make sure nothing is obstructing emergency exits such as windows. Make sure you have at least one fire extinguisher in your home; ideally near the kitchen. Look for one rated A-B-C, which means it is effective for multiple types of fires. Check it annually to be sure the pressure gauge shows a charge and there are no visible damage or corrosion. Make sure the lock pin is in place. Replace after 6 years for safety. WATER HEATER – Flush it once a year. Fall is a great time to give your home a once-over before winter’s abuse. HUMIDIFIER – Clean the plates or pads to keep the unit operating properly. WINDOWS/DOORS – Check for gaps and cracks. Seal up any spaces around windows and doors with weather-stripping and caulk. ROOF – Be sure you have a safe ladder or contact a professional!! Look for loose shingles that may have been damaged by falling debris or wind. GUTTERS – Check downspouts for clogging by leaves and other debris… especially pay attention for an accumulation of granules. This is a sign your shingles may be breaking down and need of repair or replacement. FAUCETS – Prevent freezing by properly closing off and draining any outside faucets. First close off the valve inside which supplies water to outside faucet. Then open your outside faucet to clear the line of any remaining water. If your faucets do not have a valve, cover them with Styrofoam faucet covers to prevent freezing and bursting. WALKS AND DRIVEWAYS – Check for shifting and cracking of cement; do spot patching as soon as possible to prevent a more costly repair later. The icy weather will only compound these small cracks. Those uneven sections and loose railings on steps can create a dangerous situation. Check for disintegration of asphalt or washing away of materials on stone or wood chip paths. 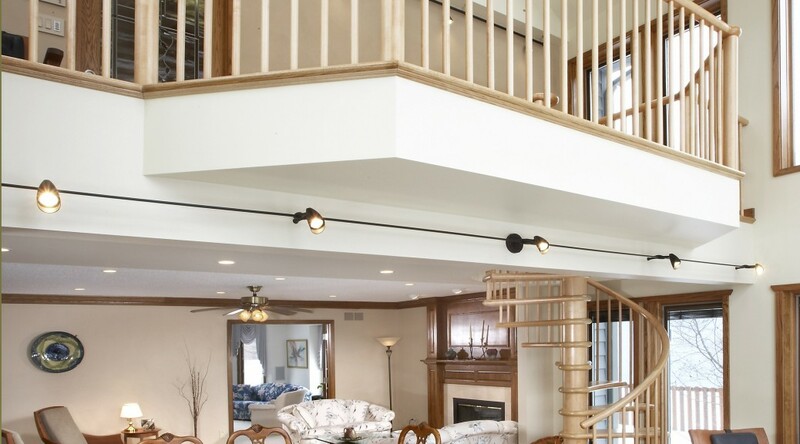 Contact B&E General Contractors, Inc., at 414-351-5558, for safe assistance with your seasonal maintenance needs. Always seek out a certified, licensed professional to provide you with optimal guidance.